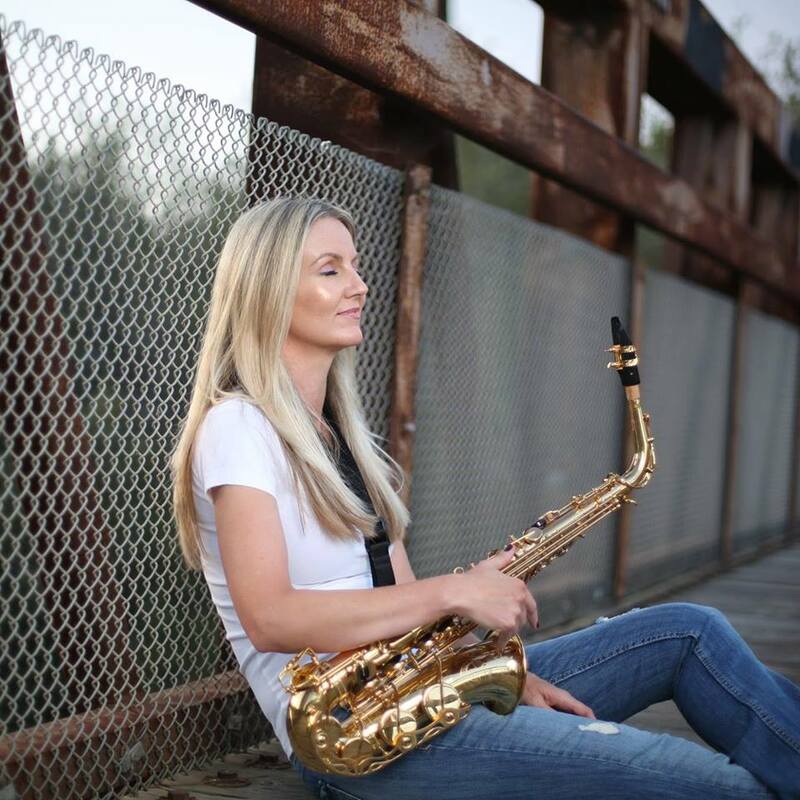 Today, we are speaking with California saxophonist Person Natalie. Can you give us a little background information about yourself? How did you get into music? and that’s how it all started. I always loved the sound of the saxophone though, and the intrigue and energy of jazz as well as the contributions of the sax to pop and rock music. So I switched to saxophone at around 12. My Dad played guitar and bass; he played professionally for a number of years. And my Aunt is a professional vocalist with an amazing voice..so I would play gigs with their bands. You have just released a new album, Gypsy Dance; what was the writing/creative and recording process for the album like? himself, not his thing. But he went along with the program even though he would have done things differently. He deferred to how I wanted things. What’s your favorite track off of the album (and why?). The title track of the album I really wanted to drive home – hence, the 3 different versions of it. It’s like Night in Tunisia by Dizzy meets “Let it whip” by the Dazz Band. I wrote a pronounced synth-bass heavy sound – like many 80’s R & B dance stuff. For the sax melody, a simple repeated motif over a dominant 7 flat6 chord and not too many changes in keeping with a modal-fusion context yet the alt. chord at turnaround for an exotic Indian quarter-tone dissonant vibe. That being said, Mill Creek Ballad is my favorite song on the album. It’s just a few tracks. I was working on this particular chord sequence on my keyboard and I really love Miles Davis “Sketches of Spain” album so it’s a blues ballad born out of love for that Miles Davis album. I also love Trane’s version of “Afro Blue on his soprano. Then last summer I went to hear Super Nova in concert. I heard a live version of Afro Blue performed by Wayne Shorter, Herbie Hancock, Marcus Miller, Carlos Santana and Cindy Blackman Santana. That concert really moved me. Soon after I recorded the melody and improvisation for Mill Creek and the first take captured the vibe, the “moment” I was feeling when I heard those guys play. Plus it reminds me of something you’d hear at a country-side renaissance faire. How does Gypsy Dance build off of (or expand upon) your 2014 EP? bass line in “Best in Show”, some edgier jazz-rock fusion in “Parachutes and Butterflies” and “Derailed then Track Again”, and a funky down-home feel-good song in “Billie Hill’s Bossa”. From my perspective, Gypsy Dance is a very colorful almost polarizing album. There’s nothing bland about it. It’s like extra-sharp cheddar or roquefort blue – you either love it or you hate it. And either way, that’s Ok. Crazy like a fox or just plain crazy, it sounds good to me and I’m proud of it. Jazz is a storied genre; what do you add to jazz with your new release? I’d like to start by saying this is not entirely jazz. But you’re right, jazz is a storied genre. I’d like to think that what I’m adding is another layer, another perspective using the beautiful art form or jazz as one of the major sources to paint a portrait that is unique and compelling. What does your recording set up look like (what do you use to record, what are your favorite tools)? some interesting and imaginative stuff with my set-up so different strokes for different folks is how I view it. I’m really independent and not keen on consumerism just for the sake of it. Plus I don’t like micro-management especially when it comes to the subjectivity of art. It’s stifling. Gypsy Dance has a number of guest performers, including Aisha Ewell, Kye Palmer, and Ron Sanchez. Who did what and how did everyone contribute to the overall sound of the release? player who can be heard on “Best in Show” and “Parachutes and Butterflies” with his improvisational and arrangement skills, really lending to a dramatic take on the latter song. Mr. Palmer being referred to me by my former Jazz Studies Director, Joey Sellers, who is an incredible improvisor himself so I definitely trusted his referral. And last but not least, is Ron Sanchez. Ron is a seasoned jazz musician/keyboardist and family friend who I’ve known for many years and played with in the past. His contributions and improv can be heard on Gypsy Dance Instrumental and Derailed then Track Again. Ron is an amazing musician and I really enjoy his energy and perspective, he’s great to work with. Which artists are the greatest influences for you and your music? Is there a dream lineup of performers that you would like to perform with if given the chance? There are many rock, R&B and a couple country artists that have influenced me over the years but with this particular album I was moved by Miles Davis in particular “Sketches of Spain” and also Freddie Hubbard’s “Sky Dive”. Stylistically not even in the same ball park, but both these albums I can’t get enough of. As far as performing with who is out there nowadays – I love Norah Jones, Alison Krauss and Christian Scott is incredible too. Which sort of social media website have you had the best successes with? What about these online services are different from the traditional face to face meeting and performances that musicians utilize? best. I’m vintage era Generation X. That being said, no amount of social media will ever replace a face-to-face meeting or real-voice phone conversation. At least not for me anyways. What should listeners expect from your music in the future? How can interested NeuFutur readers locate samples of your music and purchase their own copy of Gypsy Dance? What does the rest of 2017 hold for you (what live dates do you have)? I’ve played a couple of live shows so far in 2017, and currently working on getting out there more. Nothing set in stone yet, but getting out there more is the goal. Thank you so much for your time. Finally, do you have any additional thoughts about life and the universe for our readers?